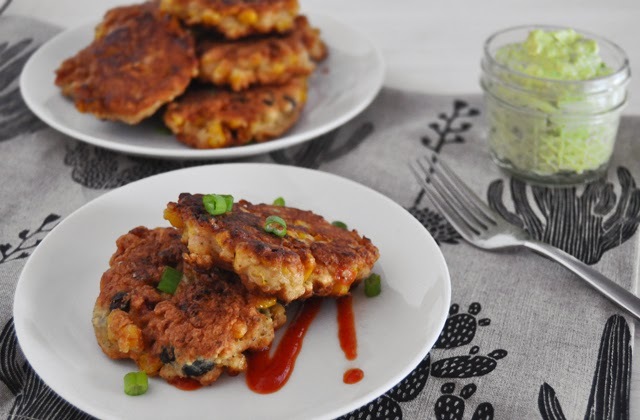 These fritters were my attempt to make my kiddos eat veggies in a sneaky and delicious way, and it worked. I told them they were special little pancakes and my older son said 'these are not pancakes mama!' No, they are not pancakes, but he ate them anyway so it's a win in my book. Another win is that you can have this on a plate in fifteen minutes, avocado dip included! Grate the zucchini and season with salt, set on aside for a few minutes then squeeze the excess water from it. Rinse the beans and corn. If you are using a whole ear of corn, remove the kernels with a knife and mix together with beans, zucchini and cheese. In a separate bowl whisk together the eggs, flour, baking powder, cayenne pepper, cumin, garlic and salt and pepper. Add as much water needed to make it into a thick pancake consistency, it shouldn't take much. Pour your mix over the veggies and combine them all together. 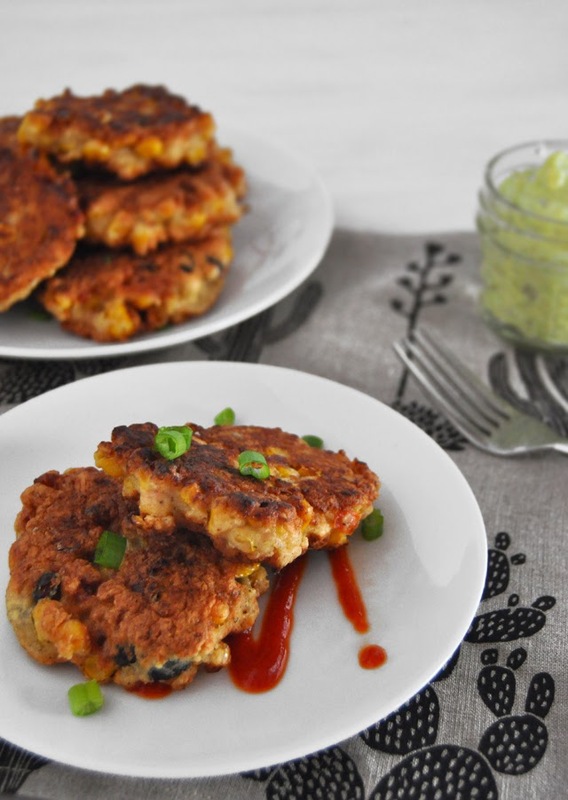 Heat some canola oil in the frying pan and scoop about 1/2 cup for each fritter and fry them on medium heat for 3 to 4 minutes on each side or until you get a nice golden brown color. 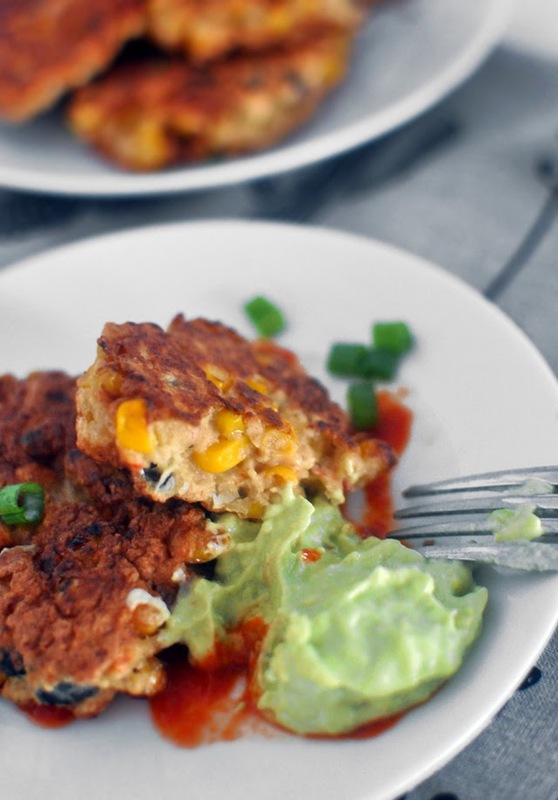 Serve with avocado dip and enjoy! Smash the avocado with a fork until smooth and then mix with the lime juice, mayo and sour cream. Season with salt and pepper and serve with fritters.